Show your love for Arizona with this floral watercolor art print, which features large pink and yellow flowers set against a slate blue background. This vibrant print is based on an original, watercolor painting which has been scanned in, carefully retouched, and printed onto rich, textured archival paper and signed. Each print is backed on thick cardboard and packaged in a clear, protective sleeve. 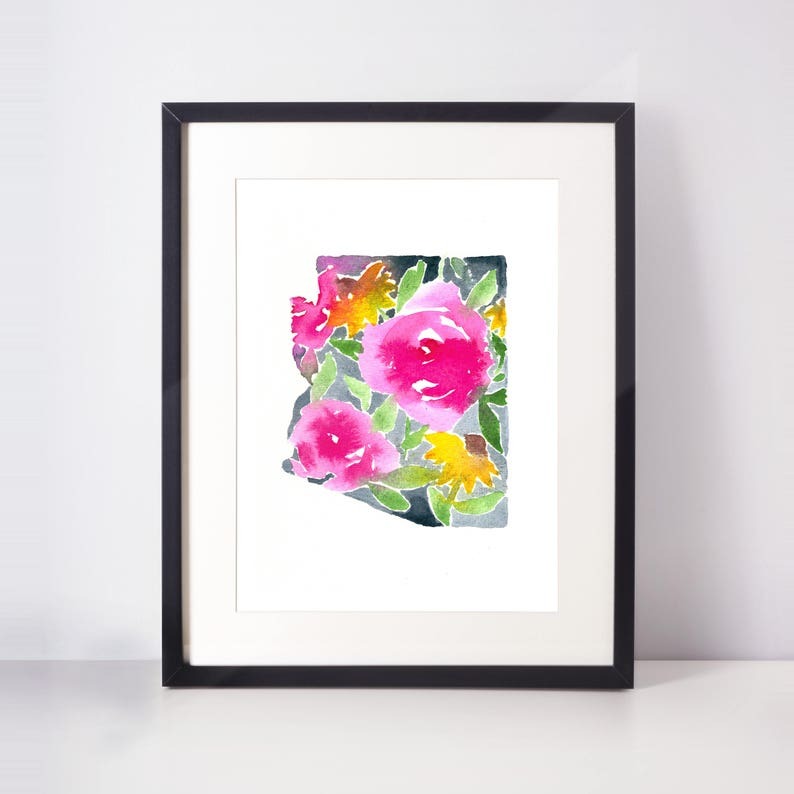 This watercolor print makes a lovely gift for an Arizona-loving friend or loved-one, or a wonderful addition to a gallery wall.